I stand in the kitchen daydreaming, my hands buried in a bowl of fresh spinach while my fingers searched out leaves with extraordinarily long, thick stems. Finding one, they snap the offenders off and toss them aside. I wonder, would anyone notice or care that I've bothered to trim the spinach? No matter. I know. And I hate biting into stringy stems in cooked spinach. The sweet smell of the onions caramelizing in the pan next to me stirs memories: Afternoons spent playing in the living room with my sisters as mom and dad prepared the family meal together, mom playing sous to dad's chef. Yes. Happy memories when everyone I loved was still around and frequently gathered at our dinner table. Starbuck pads her way over to me, stands on her back legs, trying to catch a glimpse of what it is that is taking my attention away from her. Friday evenings are usually our time to reconnect in preparation for a weekend spent together. Anticipating her curiosity, I dig into my pocket. "Sit," I say and she does. "Wait," I continue and she looks from me, to my fingers wrapped around the duck jerky. "Ok." And she carefully takes the jerky out of my hand, pauses before chomping, waiting for me to give her leave. I stand, nod and she dashes off to enjoy her treat. 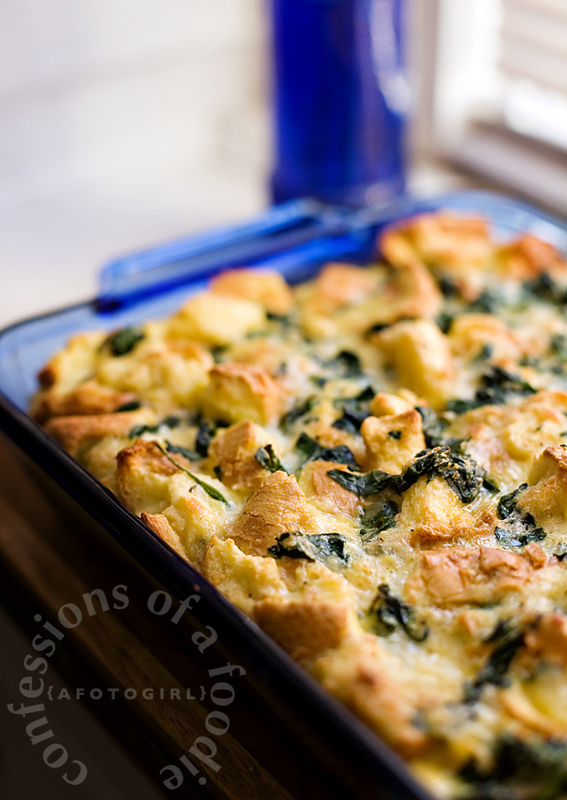 I return my attention to the Spinach, Egg, Bread & Cheese Casserole that I'm preparing as my contribution to the San Diego Food Bloggers March Roundtable the next day. "The Story is the most important thing about food writing." 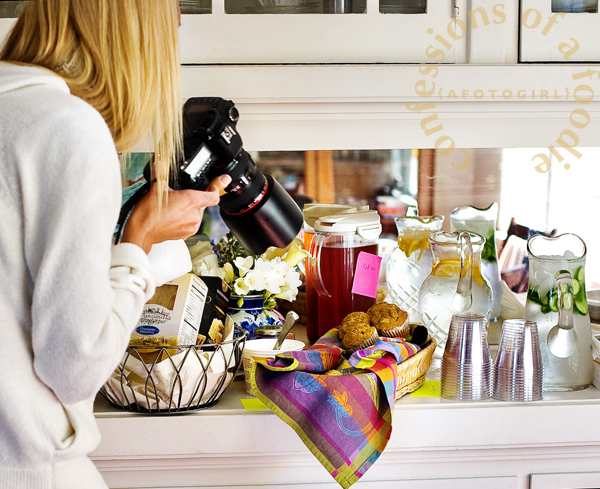 This past Saturday, ten of us gathered in the living and dining rooms of our hostess, Liz the Chef's home, steaming cups of coffee or tea at our sides, MacBook Pros or iPads at the ready, eagerly anticipating the day ahead. We were there for a workshop with Dianne Jacob, a writing instructor, editor, mentor, journalist and author of Will Write for Food. 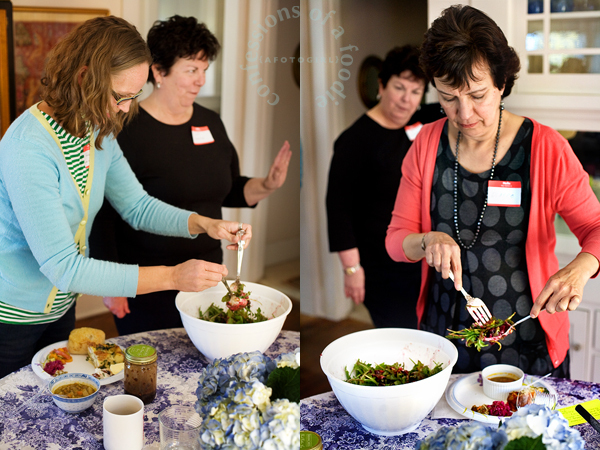 From front: Stephanie of Recipe Renovator, Kim from Rustic Garden Bistro, Denise from There's a Newf in My Soup! 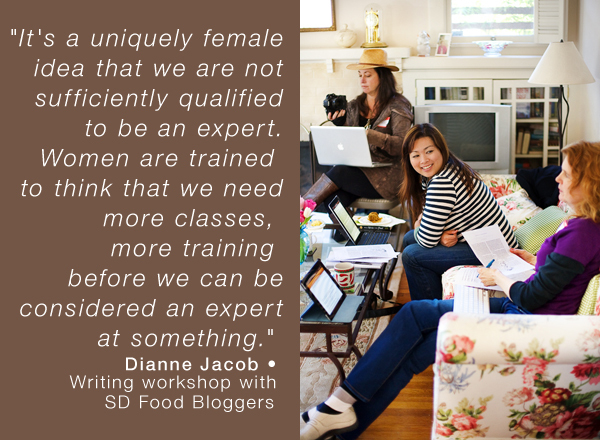 It's an amazing thing to have ten food bloggers gathered around, all of us at different points along our journeys as food bloggers, each of us with distinct voices yet sharing a passion to tell our stories through our food and words. All of us creatives, the opportunity to go off on tangents were ever present as we listened, learned, questioned. Dianne is such an engaging woman. She was so open and shared so much of her knowledge acquired over years spent teaching writing, working as a magazine editor and newspaper journalist. I found myself concentrating so hard on what she was saying that I sometimes forgot to type notes on my laptop. I was able to get four pages of notes down and I feel quite fortunate to have been a part of such an amazing group of women. When there is no action in your writing, your writing is dead. Whenever possible, use as many of the five senses when describing food. Make little "movies" with your writing. Gushing is boring; trashing is just dumb. Find the gray area and write from there. Stay honest with your readers. As soon as you lose sight of that, you're done. You are allowed to have an opinion. There were plenty more tips and handouts, some resonating more with me than others. I bought a copy of Will Write for Food directly from her at the end of the workshop and was so jazzed that she signed it for me. I am devouring the book now. I highly recommend it if you are even the least bit interested in food writing of any kind. It's filled with inspiring tools and tips that really help get your creative juices flowing. Of course, when you get a bunch of bloggers together, you're going to get some amazing food. There was gluten-free vegetarian lentil soup prepared by our hostess. Had I not been told it was a speciality food, I would never have guessed. It was rich and silky on the tongue with warm, soul satisfying earthy flavors. Stephanie brought the lovely fruit salad (top, left) and the gluten-free pumpkin muffins (bottom). A quick snap of my lunch plate shows Marie's arugula salad, grapes and cheese from Denise's cheese plate and a slice of my brunch casserole and a bowl of Liz' gluten-free vegetarian lentil soup. That's Amber of Awake at the Whisk on the left with our hostess, Liz, behind her. And at right is Dianne, our teacher extraordinaire. What a pleasure it was to meet her! And I got to buy a signed copy of Will Write for Food. Marie of Meandering Eats brought an arugula salad with beets and goat cheese. Yes. I ate beets. And though not a fan of this particular root veggie that tastes like dirt to me, the uniquely peppery taste of the arugula, I admit, provided just the right counter-balance that I found myself going back for seconds. That's Averie of Love Veggies and Yoga grabbing some photos of the Stephanie's awesome muffins. That first bite had me. The kumquat bursting into sunshine filling my mouth with a bright tanginess as my teeth bit down. More mingled on the plate laying next to hints of green avocado reminding me of summers spent in my mother’s flower garden. I take another taste, this time scooping up deep pink slivers of grapefruit. I’ve mostly had a contentious relationship with grapefruit, never having been much of a fan of their sour tones. They remind me of years spent as a child being told to eat some because it would help me lose weight. Here, though, this pink variety again surprises me. I just recently discovered, and adopted as my drink of the moment, the Hemingway Daiquiri which features pink grapefruit as its star. Looking back at the plate before me, a choice between the salad or pumpkin muffins, I find myself dipping my fork back into the mound of salad, eager to lose myself in more sunshine. There was more tasty food to be had: A cheese platter from Denise of There's a Newf in my Soup; Russian Tea Cakes from Jenny of Vintage Sugarcube; Brownies with Oreo centers from Averie of Love Veggies and Yoga and a refreshing made on the spot strawberry sorbet from Kim of Rustic Garden Bistro. Familiar friends reacquainted. New friends made. The workshop was a great day. 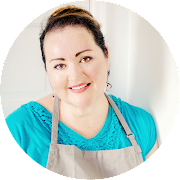 I learned much and best of all, came away filled with more confidence and inspiration to continue my food blogging journey. Originally intended to be a strata, this less-fussy approach has everything combined before putting it in the baking dish. I love dishes I can put together the night before and just pull out and bake before brunch company comes over. Easy. Trust me! I've made this dish a few times now. The first time was for a brunch with my friends Nathan and Jessica. I've made it several times since then and it's come along way from that first soggy attempt. Sorry Jess and Nathan! You guys are always my guinea pigs! The original started out as a "strata" but I found the layering of the components time-consuming. Plus, I prefer the flavor you get from tossing it all together. I include ham in this recipe which I left out for the version I made for the workshop as I wanted to keep the dish vegetarian. Feel free to do the same. Heat a large skillet on medium heat. Add olive oil and 2 tablespoons of butter. When butter has melted, lower heat to medium-low and add the onions. Cook, stirring every few minutes until caramelized, about 15 minutes. Add half of the spinach and using tongs, turn the spinach over incorporating it with the onions and butter until it wilts. Add the rest of the spinach, turning it to incorporate and wilt. Once spinach has wilted, add 1 teaspoon kosher salt and 1/4 teaspoon freshly ground coarse black pepper, or to taste. Add garlic, coriander and nutmeg. Stir well to incorporate. Remove from heat, set aside and allow to cool. Generously butter a 13 in. x 9 in. rectangular glass baking dish. Pour the egg and bread mixture into the dish. Use a spatula to spread and pat down the bread to make sure it's thoroughly saturated with the custard. Cover with plastic wrap and refrigerate overnight (at least 8 hours). To bake: Turn oven to 350 degrees. 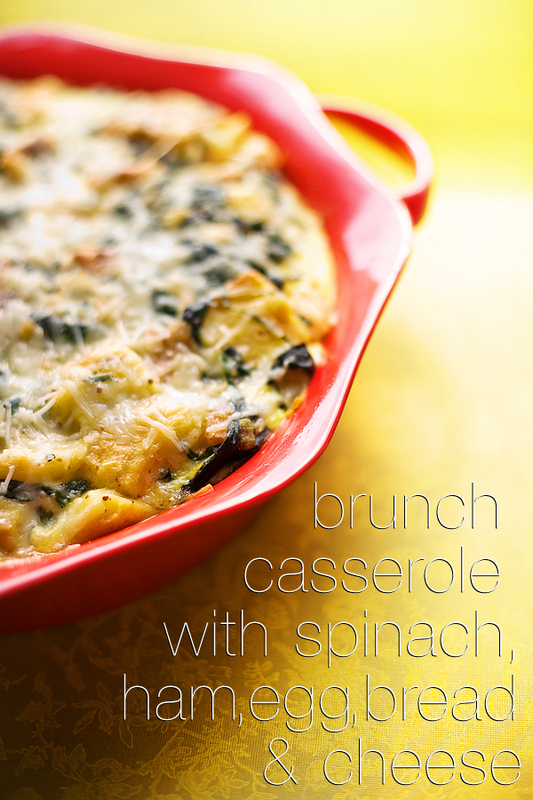 Remove the casserole from the refrigerator and allow it to sit on the counter for at least 30 minutes. Bake casserole for 55 minutes or until the custard has set and the top is golden. Allow to rest for 15 minutes before cutting and serving. Ani it was so fun to write with you and spend the day together at the workshop! I love love LOVED your strata and can't wait to try it out in my kitchen. Hey Jenny! I loved that we had a chance to talk a little this time around. You are much too kind! I always feel so blessed when people say that something I wrote or photographed inspired them. Thank you, my dear! Let me know how your strata turns out. Oh, and I've been thinking more about a small food photography Saturday gathering more and more. As soon as life settles just a bit more I will seriously try to come up with a format and will let you know. Hi Kelly! Sorry you missed it. I think seats went pretty quickly! And thank you for the compliments. I felt so inspired coming out of that workshop that the words for my pancake post literally were popping into my head the day after the workshop as I was doing what I was doing. Now I'm constantly thinking of more lyrical language to use that is still nonetheless me. Like you, I find it difficult to carve out time for writing and all the other things I love to do. Such a dilemma having to choose between loves when life chores actually allow you some time to do something you enjoy. Hope to see you at meet-up in the near future! Anita it was absolutely wonderful meeting you and this post is just a gem. Thanks for taking the time to highlight so many things about our class and time we spent together and with Dianne. And your foodie pics...ALWAYS a treat to look at and what a delish looking recipe! Hi Averie, Thank you! It was hard keeping up with all the awesome tips coming up during the workshop but I did my best to take notes. It's so hard for me to carve out time to plan what I'm going to cover for my blog, cook it, shoot it, edit it, write it, post it. My head is still spinning from when you said you post multiple times a day. You go girl! I love that! I'm hoping to just get back into posting twice a week. With my busy schedule, that will be quite an accomplishment for me. And thank you for the compliment on the foode pics! Have a great weekend! Gorgeous photography! You really captured it all! I really enjoyed meeting you and writing with you. Thanks for your delicious casserole. It was such a welcome dish in the tasty potluck. 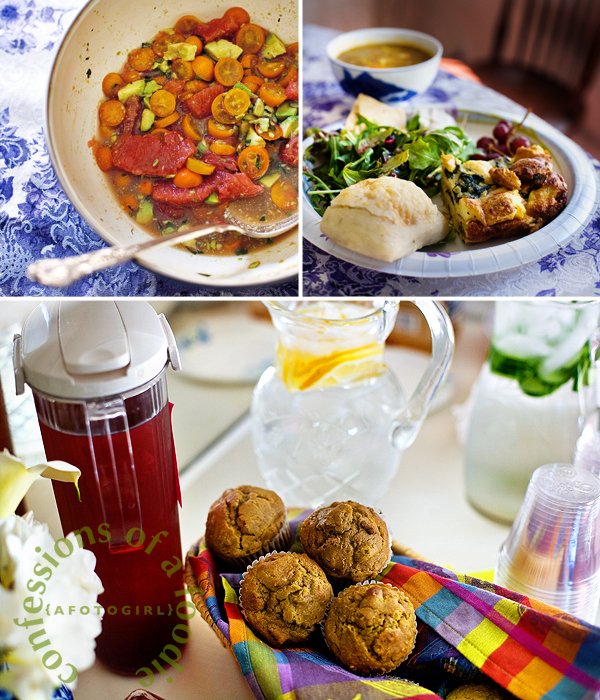 Gotta love food made by bloggers--always fantastic! Thanks Amber! It was a pleasure to meet you, too!